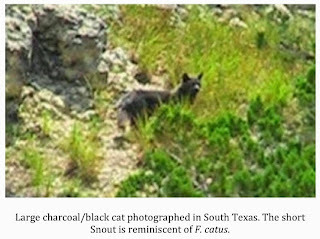 It is no secret that I’m fascinated with the possible existence of large black cats in Texas and the rest of the South. I get reports weekly from people who claim to have caught glimpses of these enigmatic cats. 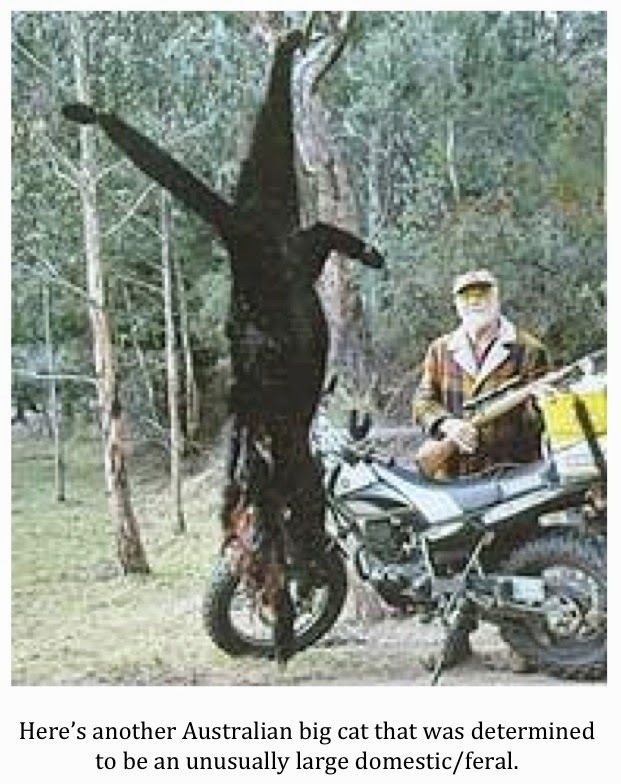 People who grew up in rural areas often express no doubt that these animals exist. Wildlife officials, however, have a different take on the phenomenon. They insist there is no such thing as a “black panther.” They simply do not exist and never have. I, along with many others, have put forth theories on what might explain the continued sightings and possible existence of these ghost cats. Jaguars have been suggested as a suspect. After all, they were once native to Texas and most of the southern U.S. and do exhibit melanism from time to time. Others think the most likely culprit is a wild cat called the jaguarundi. Jaguarundis can exhibit a dark gray to black coat and, while not particularly large, are significantly larger than a domestic cat. Still others feel that, despite science never having documented it, cougars might, on occasion, exhibit melanism or, at least, a much darker shade than is common. Personally, I’ve never found any of these theories totally satisfying. I had more or less settled on the theory that the most likely explanation for black panther sightings was probably a combination of the theories mentioned above, along with the occasional misidentification. I have recently become aware of another possibility that I actually find to be quite intriguing. An article posted on the ScienceBlogs website, written by Darren Naish, discusses the possibility that large, long-tailed black cats being seen in Australia might actually be feral cats that have grown to enormous sizes. You an access the article here. 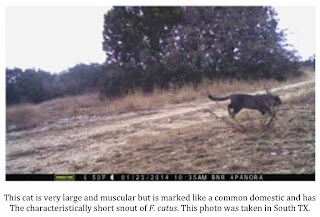 In a nutshell, Naish details some intriguing evidence that suggests that once “kitty” goes feral, it, or its offspring, can reach a shockingly large size. 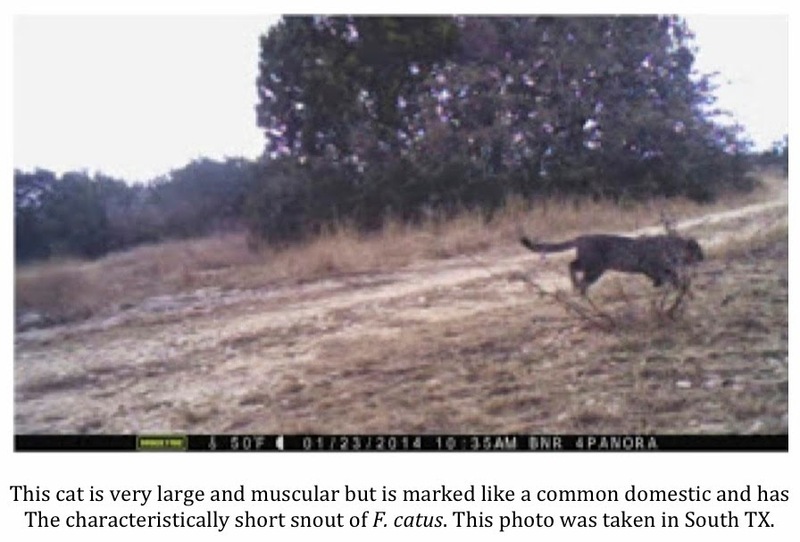 How large is “shockingly large?” How about feral cats reaching sizes the equivalent of a small leopard? 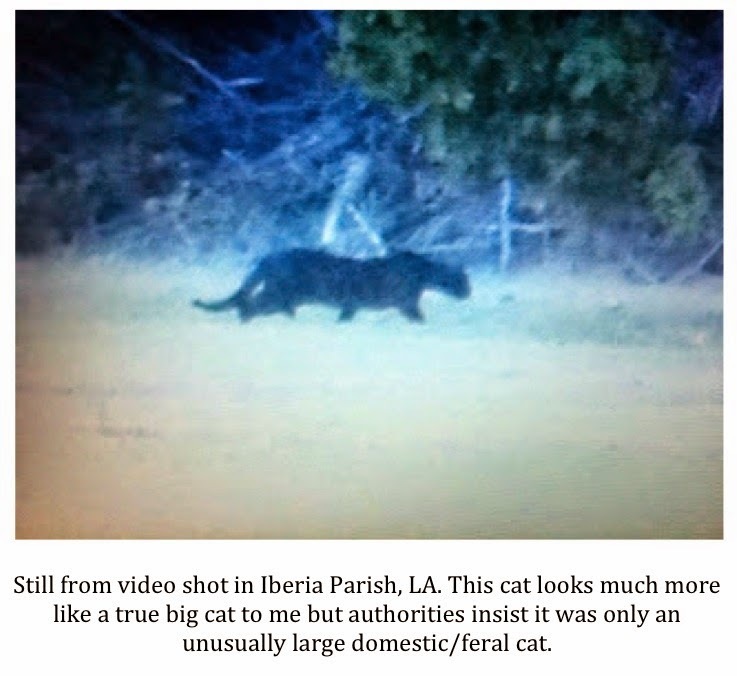 It is hard to believe but, unlike other cryptids like the sasquatch or the Loch Ness monster, there are several photos and several carcasses that seem to prove that extra large feral cats are a reality. Can this really be? Is there a new strain of Felis catus, the domestic cat, out there achieving these astounding sizes? The Dunkeld cat has been estimated to stand 75 cm (2.46 feet) high at the shoulder. This would be unusually large for a feral cat but this is the opinion of most, including Melbourne zoo official Noel Harcourt who went on record saying the cat was a large feral. Naish also discusses several carcasses that have been brought in by hunters. One, shot in Victoria measured 1230 mm (4.04 feet) head to tail. Feral cats, Naish notes, generally measure in the neighborhood of 750-822 mm (2.56 – 2.70 feet). It should be noted that what is believed to be the largest domestic cat ever, an Australian tabby named Himmy, had an overall length of only 965 mm (3.17 feet). 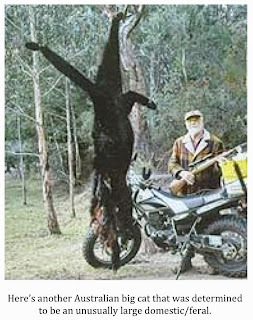 Yet another specimen was taken in Gippsland in June of 2005 by a hunter named Kurt Engel. This beast allegedly measured 1.6 meters (5.25 feet) in length. Engel dumped the big cat’s body but kept the tail as a souvenir. The tail alone measures 650 mm (2.13 feet) in length. DNA testing performed by Monash University, located in Melbourne, indicates this cat was F. catus. 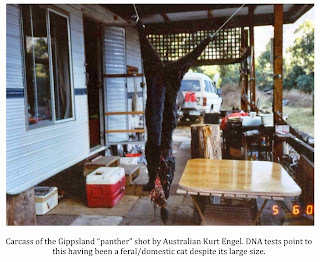 Preliminary evidence, admittedly much of it circumstantial, seems to indicate that, in at least some cases, feral cats in Australia are growing to truly impressive sizes rivaling those of leopards and cougars. If so, it isn’t too much of a stretch to think that this could be happening in North America, too. If North American feral cats are beginning to grow to exceptionally large sizes then it could help explain black panther sightings across the continent. 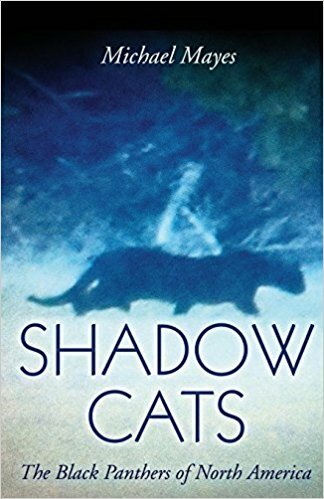 As discussed earlier, various explanations and theories have been put forth to explain sightings of large, black, long-tailed cats in our country. If you are like me, you probably know them by heart. 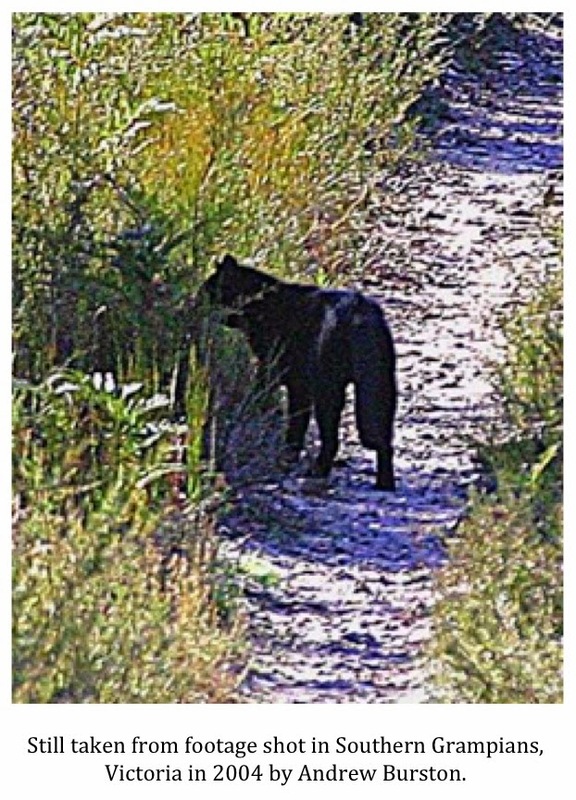 The witness saw an escaped exotic such as a leopard, they saw a known species like a jaguarundi, it must have been a normal colored mountain lion in shadows or low light, maybe it was a wayward melanistic jaguar they saw. Again, all of these theories have holes in them and I don’t feel any one of them, or a combination of all of them, can explain all black panther sightings here in Texas and North America. Of course, there is another explanation/theory that has been put forth over the years and that is that the witness saw nothing more than a domestic or feral cat. In the past, most witnesses have found this idea quite insulting. Who can blame them? Everyone knows the normal size parameters of a domestic cat, after all. Most witnesses would tell you what they saw was the size as a Labrador retriever or larger. How could that possibly be a feral cat? Based on the article by Darren Naish referenced above, maybe we have all been too quick to be insulted. Is it possible that both witnesses who have seen the legendary black panther and skeptics that say they must have seen a domestic/feral could BOTH be right? The goings on in Australia suggests that might be the case. If feral specimens of F. catus are growing to these extraordinary sizes it could be the key to unlocking the black panther mystery. Ferals are not just common, they are everywhere. They are quite prolific. Even if only 1 out of 100 achieve this unusual size then that is significant and could go a long way toward explaining these sightings. 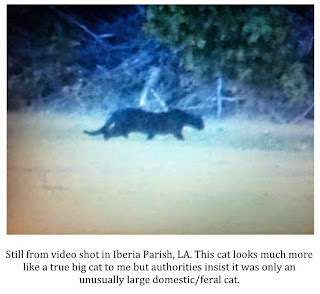 While not a melanistic cat, the following photo shows what looks, with the exception of its unusually large and bulky size, to be a typical domestic/feral cat. You can clearly see the head has all the hallmarks of being a domestic. Still, it looks really big. Could this be an example, from right here in Texas, of what seems to be happening in Australia? If this cat had been solid black then we’d be debating exactly what it was from now until Doomsday because it does appear to be too large to be a normal cat. The fact that it is colored like a typical housecat has, I believe, caused many to dismiss it as nothing unusual a bit too soon. 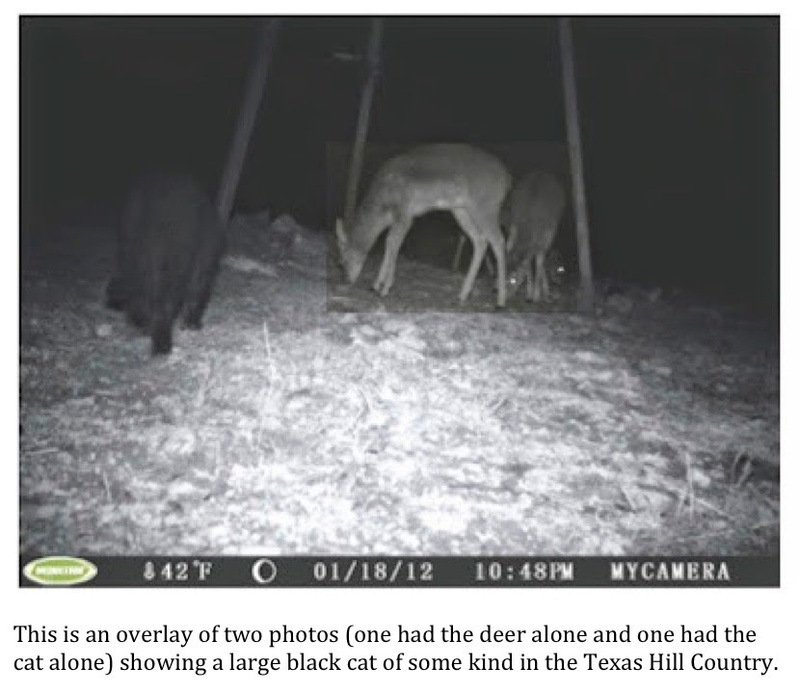 There have been other examples, a large cat photographed near a feeder in the Texas Hill Country, the large black cat captured on video in Iberia Parish, Louisiana, and a large charcoal-colored cat photographed in South Texas. All seem, at first glance, to be far too large to be examples of F. catus. Knowing what we know now, maybe we should reconsider the domestic/feral cat as a candidate for at least some of the black panthers reported each year. The puzzle that makes up the black panther picture in Texas and the American South remains incomplete. I don’t doubt that, on occasion, many of the usual theories that have been put forth regarding the phenomenon are correct. I also believe that people have been mistaken about what they’ve seen from time to time. 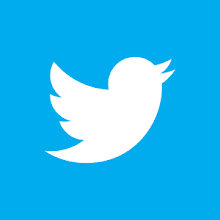 I do not, however, believe the usual “go to” explanations satisfactorily explain all sightings. I’m not convinced that even if domestic/feral cats in North America are growing to extremely large sizes, it would explain all the sightings either. 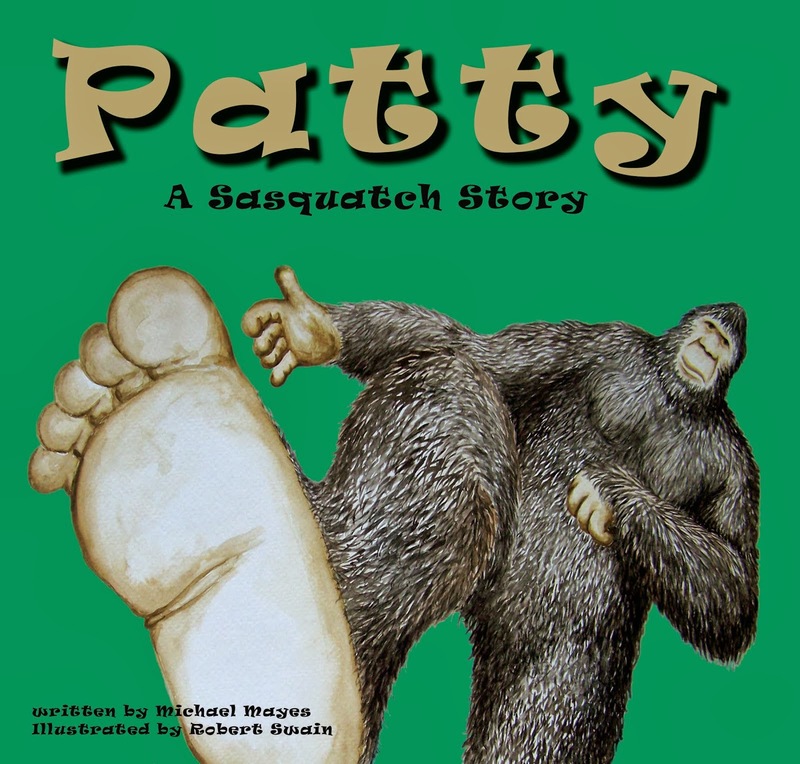 I do feel, though, that the possibility of F. catus growing to very large sizes could explain at least some of the sightings of black panthers and should be seriously considered. The black panther puzzle may remain incomplete but maybe we’ve just added a new piece. Below is the latest version of my black panther distribution map. The map now includes the latest reported sightings deemed credible and discussed in the previous two posts on this blog. As for patterns, those previously discussed seem to be holding. Nearly all of the sightings have taken place near major waterways. 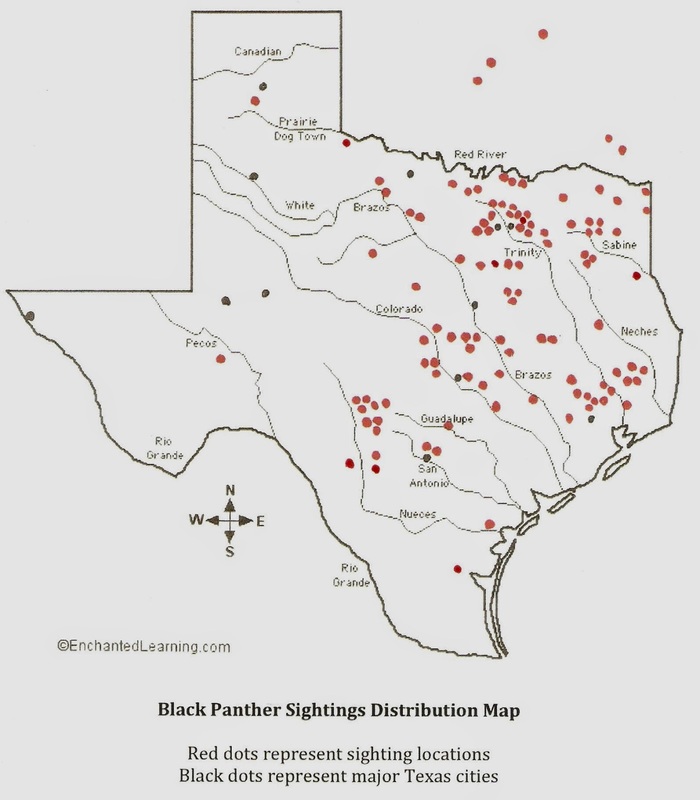 In particular, sightings tend to bunch up near the headwaters of major Texas Rivers like the Sabine, Neches, Trinity, Guadalupe, San Antonio and Nueces. The exceptions to this pattern would seem to be the sightings reported along the Brazos and Colorado Rivers. It could be argued, however, that about the point the Brazos and Colorado become more than just a trickle is the point where sightings begin to take place with some measure of regularity. It should also be kept in mind that the upper reaches of both of these rivers lay in very sparsely populated areas where sightings would be less likely due to the dearth of human occupation. 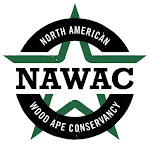 The sighting map is also beginning to resemble the map of wood ape sightings in the Lone Star State as compiled by the NAWAC. 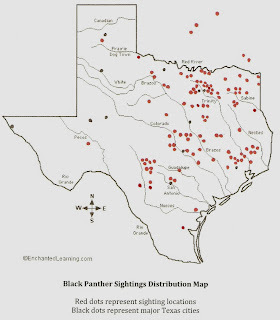 Basically, the number of ape and black panther sightings increases the farther East one travels across Texas. This correlates nicely to the average amount of rainfall each region of Texas receives. Again, the farther East you go, the more rain you get. It is interesting to note that the areas where the Texas Parks & Wildlife Department admit to breeding populations of mountain lions, the Trans-Pecos/Big Bend region and deep South Texas, there have been next to no reports of large, black, long-tailed cats. What that means can only be speculated upon.